Burdock oil for hair is very beneficial for the health of the scalp. It is equally effective in men and women. As we are constantly exposed to weather and other circumstances that surround us, we need additional attention and care. If you want to have healthy and strong hair, clear complexion and delicate skin, instead of expensive chemical agents and treatments, turn to nature and enjoy all the benefits that it provides. The healing properties of fragrant preparations have been known for centuries. In the oriental traditional medicine it still has an important place. For us it is most associated with the care of hair and skin. Learn more about the plant, its composition and curative action. Prevent hair loss in a quick and efficient way by using burdock oil. The plant burdock, Latin name Arctium comes from the family of Asteraceae. It has dark green leaves, which are quite large, thin green stem and on top purple flowers which are round. Blossom starts during July until October. It is widespread, and not very sensitive to climate change, loves the land rich in humus, and grows from Scandinavia to the Mediterranean, British Ostrava to Russia, Asia, China, Japan and India. Since ancient times it has been used in traditional medicine as a diuretic and a means of purifying the blood. In Chinese tradition it is used to treat skin and colds. Today, the most used is burdock oil in cosmetics as an essential ingredient of shampoos and various means for hair and scalp. Burdock root is crisp and has a sweet but bland taste. The root is harvested and is edible, and is very popular in Asian countries. In Japan, for example they use leaves which are young and gentle. Once, the root of this plant was used as a flavouring for beer, because it gives beer a bitter taste. Composition of burdock is very rich, 100 grams contains 72 calories, 0.2 g fat, 17 g carbohydrates and 1.5 g of protein. It contains iron, calcium, magnesium, sodium and potassium. It includes vitamins A, B-complex vitamins 6, vitamins C and D.
The most famous product of this plant is burdock oil, which is to say a combination of roots from vegetable oils, such as commonly used olive oil. Cold extraction process allows nutrients from the roots to continue to develop in the oil to achieve the full effect. Burdock is also used for making oil from burdock seeds by separation of fatty acids from seeds of this plant. If you are willing to make your own cosmetic products for hair, you will need a couple of things that are easily accessible. The procedure is simple and fast. All you need is a few dried or fresh sprigs of burdock root, olive oil and a sterile glass jar. If you are using dried root, first wash it and then chop it into smaller parts. If you are using it fresh, when you chop it, let it stand for 1-2 days before use. When the chopped root is ready, put it in a glass jar and add the olive oil. The amount and proportion are not strict, depending on the size of the jar, so you rely on your own instincts. Keep the jar in a dark place, and if you used fresh burdock root, it is best to keep the jar in the refrigerator to avoid the creation of bacteria. The root needs at least 6 weeks in order to release all the good substances for cosmetic products. In order to release the air bubbles from the jar, open the jar at least once a week. After these 6 weeks remove the remnants of the roots and drain the contents of the jar. Pour the resulting oil into a dark bottle and store in a cool place. Burdock oil is rich in phytosterols and fatty acids. It is often used and mentioned in alternative medicine for the treatment and prevention. From its seeds with olive oil and alcohol are made various tinctures to treat a number of diseases and conditions. -Use in skin care, helps with conditions such as eczema, psoriasis and acne. -Use the coconut oil for hair growth and scalp care. -Treats bacterial skin infection such as ulcers. -Cures sore throat and cold. -Used in traditional medicine to clean the blood. -It helps with weight loss. -Used in the prevention of heart disease and reduces the risk of heart attack. -Can be used to relieve cough. -It helps with irritable bowel syndrome and abdominal pain. -has a significant effect in the prevention of certain forms of cancer. -Burdock oil eliminates oil and fungal infections. -Treats gallstones and kidney stones, and is used as a prevention against them. The most common way of consumption is in the form of tea. It is used to treat various diseases including diabetes mellitus, elevated blood sugar, in the treatment of liver, for the treatment of acne and pimples. Burdock tea is used as a natural remedy for breast augmentation, this effect is achieved by using this drink because it promotes blood flow to the breast tissue! This oil is used to treat dry and damaged hair. It primarily contributes because of vitamin A and fatty acid content. Burdock oil for hair helps to hydrate the scalp. It gives hair strength, elasticity and shine. 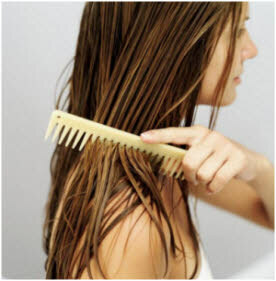 Just prior to washing apply it to dry hair, leave it for at least 15-30 minutes and then rinse normally. If your hair is extremely dry, place it on the ends after washing. It will quickly regenerate, and solve the problem of cracked areas. This oil recovers an irritated scalp, and is increasingly used as a God-given tool that removes dandruff very efficiently, and eliminates the itching and redness. Use burdock oil for hair loss, as it promotes natural growth, so it is often used as an essential ingredient against alopecia. Burdock oil is rubbed into the scalp, then leave it to work at least half an hour before rinsing. The treatment can be repeated as long as you want until the problem is resolved, because there are no negative effects. Most often the first progress and positive results can be seen only in a few months. The process may be time consuming, but the effects are excellent. Dyeing your hair, no matter how much the paint is good and expensive, is very damaging, and it needs more attention and a lot better care than usual. Ladies with darker hair that it dye it blond know best what the problems come with that, lifeless and cracked hair, as a consequence of the use of stronger hydrogen. Treated hair needs to be given back its shine and softness and that is not an easy task even for professionals, but we recommend beneficial burdock oil for hair. Apply coconut oil on your hair before going to bed, wrap it, it is best to use some sort of cap (not expensive about 5 dollars) in order not to dirty the towels, and leave it overnight. In the morning, rinse hair thoroughly with water, then wash it as usual. Blonde women are recommended to use burdock oil to treat cracked ends. Apply it on dry hair instead of a variety of costly balms or crystals, their price is certainly not small. This extraordinary natural conditioner simply must be tried. Even when you put mascara your lashes are not as thick as you want? Fortunately there is a solution for that! Burdock oil stimulates the growth of eyelashes and has the effect on hair growth. It can help to increase its density and volume. It is necessary before bedtime to put a drop of oil on the root of the lashes and leave it to works. In a few months they will become richer, and the mascara will not be necessary. Eyebrows often stop growing in places where they were previously pulled, and can themselves come off due to various factors. This can be a problem if you decide to change their shape or simply you want them to be denser. The growth of eyebrows and their density can be restored by using natural oils. Use burdock oil for growth of eyebrows to regain their density by rubbing it in from time to time. It is best to use it 2-3 times a week, gently rubbing it in. Effects will quickly be noticed, because eyebrows grow quickly. The beautiful and clean skin of the face is an imperative of the modern era in which many are invested in. When there are no problems with the skin of the face and complexion that is real lucky. Others likely have already tried everything there is on the market. Although the cosmetics industry is in full swing, now there is a growing trend of returning to the nature and alternative treatments of body care. The combination of burdock oil with a little alcohol and water as a natural tonic will make a minor miracle for your complexion. This combination can be used at night to clean the face before sleeping, and is guaranteed to help solve the problem with pimples and acne. Regular use of this mixture will improve your complexion and the skin will be hydrated and healthy. It is known that cosmetic products for face have anti-inflammatory, anti-fungal and anti-bacterial action thanks to its composition, so if you have damaged skin, make sure you use it. Soak a clean gauze with this oil and apply to the problem area, wrap with cellophane or plastic sheet and leave it overnight. It requires a long-term treatment, but if you persist, the effort will pay off. Burdock oil for sunbathing can be used in combination with olive oil to provide daily hydration during the summer period, and as a bonus you will receive a bronze tan! I started to utilize it because of the cracked areas. That was a few years ago. Now I cannot imagine hair care without it. The difference can be seen, and it was first noticed by my boyfriend. Earlier my hair was constantly tied, because it was like a straw, but now it is soft and beautiful. I also used burdock oil for face and skin, because I noticed that it suits me just fine. Hair loss was a big shock for me, because everyone in the family has a good hair. I was pretty desperate. I tried everything. Expensive cosmetics did not help. My mom bought me burdock oil for hair. I noticed after a few months that there was smaller decline. I'm not completely bald thanks Mom and oil, it may sound funny, but just so. I am blonde and of course that is not my natural colour. I have a very dark hair, so I use a very strong hydrogen. I thought for a while that I would lose all my hair, because it was poor, unruly, like a straw. There was nothing I could do with it, no hairstyle could be made. Then I read somewhere that the burdock oil for hair is very good. I bought the cheapest one, because unfortunately I do not have a job. Now my hair is recovered and much better-looking than before. I still dye it, but the hair is soft to the touch and the hairdresser asked me what I was doing with it. Because of the dandruff I had a really bad time. I could not wear dark clothes, I felt so uncomfortable, because it was very noticeable. Disaster. I used the most expensive shampoo but it did not help and on the contrary I realized it was all a pure chemistry, which at the same time costs a lot of money. I came across burdock oil and ordinary shampoo. It did not immediately disappeared, but eventually there was less of it. I started using it a couple of months ago. I have nothing but praise for it. I use burdock oil for hair and sometimes walnut oil, but during summer I love the smell of coconut oil. I used them for a long time, perhaps even since high school. I still have a strong and thick hair although according to genetics, because my father and grandfather were bald, now I should go bald. I never had dandruff. Burdock oil is readily available in all stores, superstores, boutiques or can be ordered over the Internet. Price for 50 millilitre bottle ranges from 1 to 5 dollars depending on the manufacturer, although the market has a lot more expensive ones. This product will last quite long, maybe even a whole 3 months. As a very good alternative for burdock oil primarily for hair care, you can also use coconut or walnut oil, which are equally good and provide good results. It is best to try all mentioned. When using burdock oil for medicinal purposes pregnant women and diabetics should be on alert, and prior consultation with the doctor is recommended. There are known cases of allergic reactions in people prone to allergies, and if you have these problems, caution is recommended. Burdock oil is definitely worth your attention. Also, we recommend you an article on castor oil, which is also excellent for hair, skin and nails!